How to Use the Tilt Tables? With the ever increasing problems of arthritis and many other disorders and diseases that render a person unable to stand or move around, the need for devices that can supplement this movement has increased. Wheelchairs or scooters have done their part by covering the mobility part, helping millions around the world with disability to move, travel through almost all terrains whether at home or outdoors. But there are some disabilities that make it difficult for the person to even stand up. How does one treat a person while facing such a big difficulty? The answer lies in the advent of the simple but highly effective device called a tilt table. Using basic mechanical principles, technology, in the form of tilt tables, helped us overcome this major hurdle in treatment and rehabilitation. 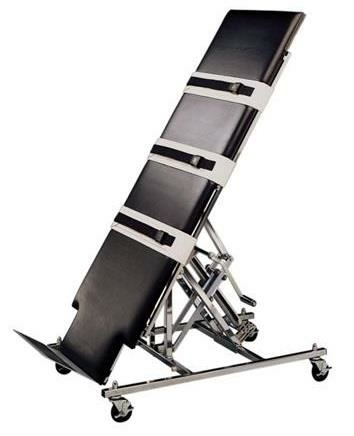 When Does one Need a Tilt Table? Tilt tables are basic need for bedridden patients who cannot stand upright on their own and human support might cause problems as well. This is why tilt tables are used, as they eliminate all possibilities of falling down or tripping and help the patient stand upright. A number of diseases and disorders can result in a patient being bedridden. These include both physiological and neurological problems. Physiological Disorders : Arthritis, Spina Bifida, Muscular Dystrophy, Generalized Weakness, Prolonged Recumbence, Tachycardia, Syncope, etc. Neurological Disorders : Dysautonomia, Parkinson’s disease, Stroke, Hypertension, Hypotension, etc. Based on the simple idea of pulleys, manual tilt tables were the first to have been made. They are larger as compared to their counterparts but are cheaper as well. Earlier it was a basic mechanical system, but nowadays, safety concerns have made the manufacturers add a lot of different parts and accessories that guarantee your safety on the table. A lever system initiates the movement of the patient and gradually brings the patient to an upright position. The value-for-money buys in this category are the Bailey Economy Manual Tilt Table and the Bailey Professional Manual Tilt Table that can be use for home and institutions respectively. The increasing use of technology has affected the tilt tables also as the manual operation has disappeared and now, one could simply stand up with the push of a button. Everyday advances in science helped tilt tables as well, as many new hi-tech specifications were added to them. The value-for-money buys in this category is Medline Bariatric Electric Tilt Table that can be use for home and institutions respectively. 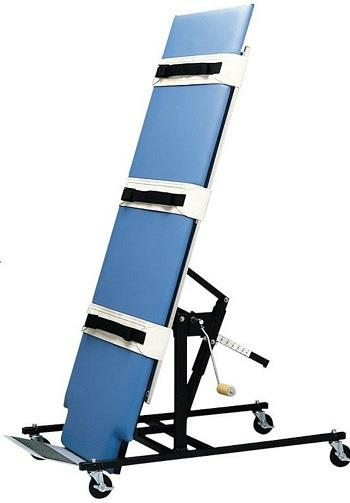 Tilt tables have been a special invention in the field of rehabilitation and treatment as they have allowed patients to enjoy doing things upright even while remaining bedridden. There are a lot of task that simply cannot be accomplished while lying down, and the tilt table has made these task possible for bedridden patients .